This book covers two distinct yet related topics: the primary care setting and the counselling carried out within it, and it can be dipped into or read straight through. 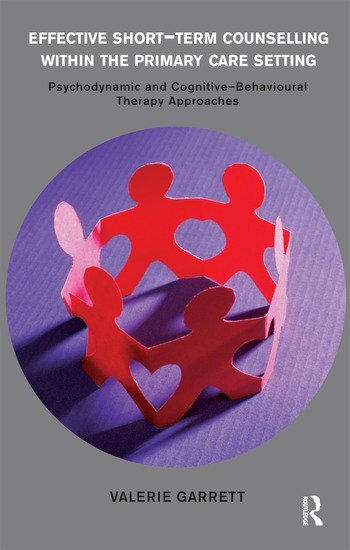 Part One, using psychodynamic and systems theory, explores the holding environment of primary care, the interpersonal relationships within the primary care team, and other variables affecting counselling in a medical organisational setting. Part Two takes the counsellor through the 'how' of using psychodynamic and Cognitive-Behavioural Therapy (CBT) approaches within short-term contracts in this setting. Case studies and scenarios are given to illustrate these. The counsellor is guided through assessing the patient's counselling needs either within a psychodynamic or CBT model or to formulate a 'tailor-made' short-term contract, using elements drawn from psychodynamic, CBT, and supportive counselling.